Enriched with reparative vitamins and minerals, Gel Break serum-infused base coat, sheer color, and protective top coat help restore nail health while always keeping you looking polished. There’s no need to hide your nails while in recovery, available in three subtle hues to complement all skin tones, in just a week your nails make a comeback! 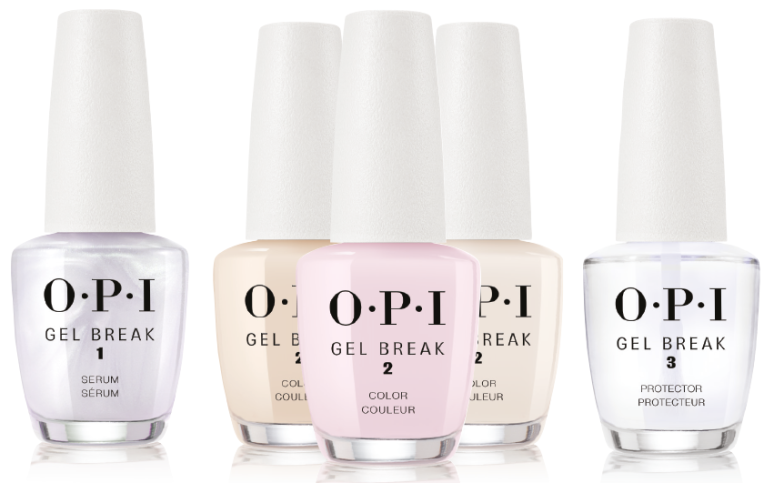 Post Gel Break don’t go back to just any gel, try OPI GelColor!